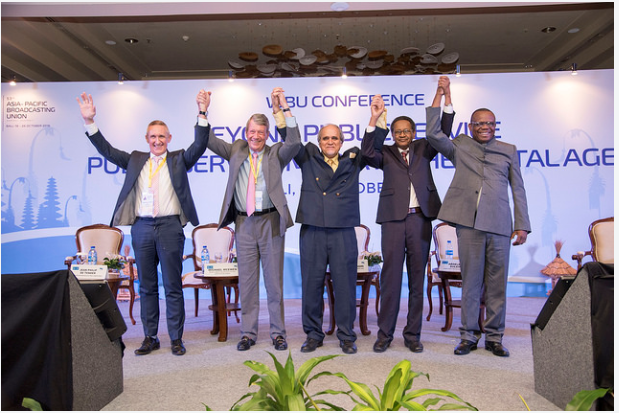 October 26, 2016 / Bali, Indonesia – Earlier today, members and participants of the World Broadcasting Unions concluded a successful one-day WBU Conference in Bali, Indonesia. The Conference was hosted by the Asia-Pacific Broadcasting Union (ABU) and the Indonesian public broadcasting service Radio Republik Indonesia (RRI). It featured a broad and timely agenda that touched on themes important to global broadcasters operating in an increasingly interconnected and precarious world. Public Service Media in the Digital Era: Responsible Practices including; content production (news and entertainment) media ethics, editorial independence, financial autonomy, and public accountability. Breaking the Cycle of Violence: Media for Peace and Tolerance; by understanding the role of media in conflict prevention and resolution, strengthening human rights and democracy. Sports Coverage in the Digital Age; new opportunities but old challenges of rights fees and outdated regulations and laws. Low Cost Technologies for Radio & TV Broadcasting Services bringing the digital age to the developing world. Saving Lives: Media on the Frontline of Climate Change and Disaster Prevention; the challenge for humanity in the 21st Century. The WBU is proud to have held an event that could unite us all in furthering our industry’s goals of better serving our listeners and viewers. 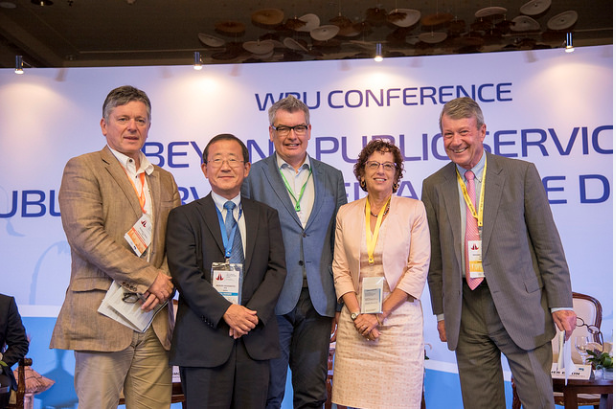 The WBU is the coordinating body for broadcasting unions who represent broadcaster networks across the globe. It was established in 1992 as a coordinating body at the international broadcasting level. 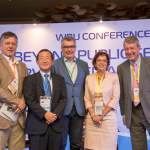 Since then, the WBU has provided global solutions on key issues for its member unions. The North American Broadcasters Association (NABA) acts as secretariat for the WBU.